Buying a Subaru in Utah Can Be Fun! When it comes to being part of the traditional dealership stigma, we’re not afraid to do things differently. In true Subaru fashion, we’re proud to take the path less traveled and offer true market, competitive pricing, on all our vehicles. Gone are the days of endless haggling and the run-around of the traditional “desk dance”. We know that these principles keep us on track to help our customers not only get into the car they want, but have a great time doing it and leave with a feeling of satisfaction and trust. Here’s what you get with our revolutionary approach, to the car buying experience. We’re proud to be Utah’s only Negotiation Free Subaru Retailer! With Promise Price everyone at Mark Miller Subaru gets an upfront, competitive, and transparent price right from the beginning. So instead of spending hours negotiating a fair price, we give it to you from the start! you can have peace of mind knowing that you’ll still get a great offer on your trade. committed to a no pressure sales experience. everything you hoped for, bring it back. No questions asked. Mark Miller Subaru is not only a safe place to shop, it’s a fun place to visit, eat, service, and play for our team members, guests and their dogs. We’re proud to be Utah’s only Subaru retailer with full-service cafés at both Mark Miller Subaru locations. And as always, our café’s offer healthy lunch and snack specials every day and coffee, soda, and bottled water are always on the house! Kids should enjoy their time visiting Mark Miller Subaru! That’s why we’ve partnered with Discovery Gateway Children’s Museum to create fun places to “Discover the Power of Play” at Mark Miller Subaru! Our miniature museum exhibits offer children opportunities to play and learn while visiting our store. Just like you, Mark Miller Subaru Loves Pets! That’s why we’ve built a play area, called “Bleu’s Backyard, for your furry companions at our Midtown location. Pets are part of our family too, that’s why dogs are always welcome at Mark Miller Subaru! Nothing is more important to us than creating meaningful, life-long relationships with our team members, guests and their dogs. We’re proud to be Utah’s only Subaru retailer with a fully staffed Concierge team. In the event you need help with your new Subaru, a member of our Subaru Concierge team will travel to you (your home, office, a grocery store – you name the place, we’ll be there) to help you navigate owning a new Subaru! Mark Miller Subaru is also Utah’s only Subaru Retailer offering a FREE Service Valet as part of our Maintain The Love maintenance program. This special program, called Mark Miller Direct, ensures that your schedule doesn’t miss a beat! 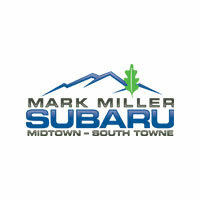 When the time comes for your car to be serviced, Mark Miller Subaru will send a member of our concierge team to pick-up your car and drop off a loaner. You become a member of our family when you shop at Mark Miller Subaru. And as a member of our family, you get all kinds of cool benefits and free stuff! Like free tickets to all the coolest festivals, discounts to movies at the Megaplex, free parking at all Grizzly games, and so much more. Subaru owners love the great outdoors, and Mark Miller Subaru is committed to preserving it. We care what happens with our community and environment. In addition to our many green initiatives, Mark Miller Subaru is Utah’s only Subaru Retailer harvesting energy from the sun to power our dealerships! Mark Miller Subaru, in partnership with Tree Utah, has planted 20,000 trees along the Wasatch Front! We’re proud partners of HawkWatch Int. and, through this partnership, have built hundreds of Nesting Boxes for the American Kestrel. By monitoring the Kestrel, we can monitor the overall health of our precious ecosystem. Through the Subaru Love Promise, we commit to giving back to our community, regardless of whether it’s good for the bottom line. That’s why we’ve donated over $1.7 million dollars to charity. Mark Miller Subaru was honored to receive Utah’s “Best of State” awards for Individual Humanitarian and Corporate Philanthropy in 2017. 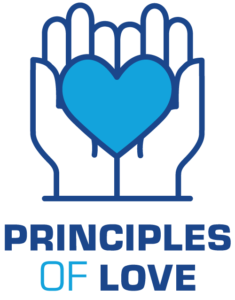 Subaru of America loves us too! We were recently named Subaru’s Love Promise Retailer of the Year. We’re the only Subaru Retailer in the United States to hold this distinguished honor for 2018!